Gionee has become very popular in India, especially because of it quality products. Gionee M2, a very new smartphone from the company recently went on sale from Snapdeal. The battery capacity of the M2 makes it apart from other phones available in the market. It also comes at very affordable price of RS 11,123. It is Dual SIM phone, powered by 1.3GHZ 4-core processor and runs on Android 4.2 Jelly bean OS. Gionee M2 also supports USB OTG, that allows user to charge other devices. The handset look stylish and fancy. It packs with 8-megapixel rear camera and 2-megapixel front shooter. There are very few smartphones in the market that offers up to 1 day talk time. The device is priced at RS 11,123 in India . The company would soon launch it officially. The Gionee M2 is available in Black and White colors, you can purchase it from snapdeal. 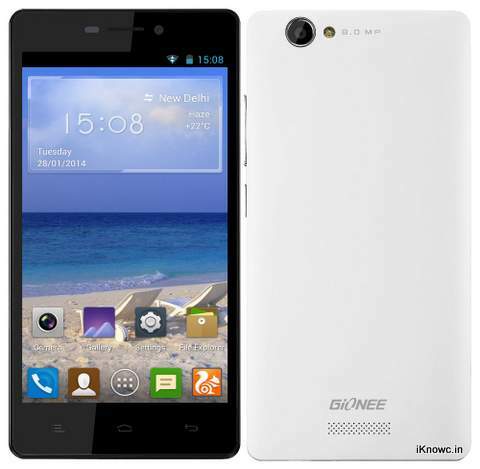 Hi, I want to buy Mobile, Specifications of Gionee M2 are better except two queries? 1. Resolution: 854X480 pixels Will this sufficient or I may see dots on screen due to this? 2. Camera: Whether camera of 8 MP better than 5MP camera of Samsung galaxy Quatro. Will I get good picture quality with this phone? Please reply ASAP. Hello Gaurav, It should be a nice phone. Camera quality is good in M2. The display resolution is bit low, but i don't think you see dots due to this , because resolution is not that bad. It would be better if you test the phone from local mobile shops before going for it. There is not 8 mega pixels camera only 4 megs pixles camera are there .its cheating with the customer. How could any of this be better stated? It con'tuld.